The music of Yao Chen strikes audiences with its innovative ways of bringing the traditions of Chinese and Western music and its poetic telling of the composer’s innermost thoughts. His perceptions on musical time, timbre, intonation, pulsation, and expression are always at frontiers: between the old and the new, between the East and the West, between irrational mysticism and rational logic. 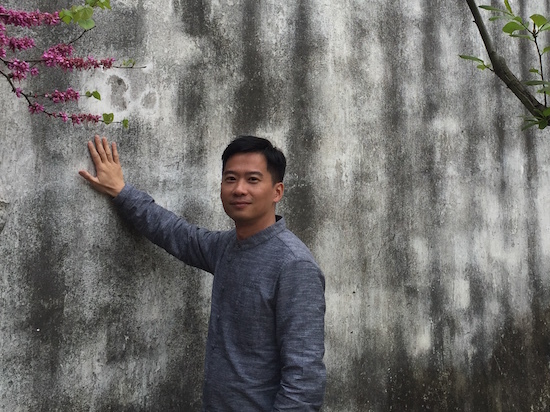 While devoting himself mainly to the field of contemporary art music, Yao also experiments with other genres, writing music for films and theatre as well as improvising. Cross-cultural and cross-disciplinary concepts permeate his creative inspiration and compositional output, presenting his understanding of the value of new music in enlivening global cultures. Yao’s music has been performed by the St. Paul Chamber Orchestra, Orchestra of St. Luke’s, Orchestre National de Lorraine, Winnipeg Symphony Orchestra, Orchestra of St. Luke’s, ProMusica Chamber Orchestra, Pacifica String Quartet, Quatuor Diotima, eighth blackbird, Camerata Woodwind Quintet, Quintet of the Americas, Qilin Duet, New Fromm Players, Earplay Ensemble, Israel Contemporary Players, Conundrum, Wild Rumpus New Music Collective, Tang Quartet, Hong Kong New Music Ensemble, TianYing Chinese Ensemble, Beijing New Music Ensemble, etc. Yao has collaborated with countless artists, including conductors Cliff Colnot and Rei Hotoda, Chinese pipa-players Yang Wei and Lan WeiWei, Chinese bamboo flutist Zhang Weiliang, zheng player Yu-Chen Wang, double bassists DaXun Zhang and Michael Cameron, marimba virtuoso Wei-Chen Lin, sopranos Tony Arnold and Allison Angelo, flutists Denis Bouriakov and Brook Ferguson, pianist Nareh Arghamanyan, and bayan-players Luo Han and Stanislav Venglevski. He has also received commissions, awards and fellowships from many prestigious organizations such as the Fromm Music Foundation at Harvard University, New Music USA, Radio France, ASCAP, Barnett Family Foundation Flute Competition, Leonard Bernstein Fund, Art Institute of Chicago & Silk Road Chicago Project, Pittsburgh Symphony Orchestra, TMSK Liu Tianhua Composition Competition, Greece International Composition Competition, East Carolina University Orchestral Composition Competition, Aspen Music Festival, Chinese Fine Arts Society International Composition Competition, Viacom-Sumner M. Redstone Foundation in China, Central Conservatory of Music, University of Chicago, etc. He is currently Associate Professor in Composition at the Soochow University School of Music in P.R. China. Yao embarked on his lifelong musical journey in the People’s Republic of China. He received rigorous training in composition and music theory at the Xinghai Conservatory of Music High School in Guangzhou and then the Central Conservatory of Music in Beijing. After coming to the United States in 2001, he pursued studies in composition at the University of Chicago. He has taught at the University of Chicago Music Department, the University of Illinois at Urbana-Champaign School of Music, and the Illinois State University School of Music.